Created for my 1920x1080 widescreen monitor, this wallpaper is great for a boot splash and/or a desktop wallpaper. Reads "GNU OS/GNU's Not Unix/Licensed for Freedom" in Trisquel blue and features the GNU OS smiling gnu head. Also available in a smaller cropped 1024x600 (10:6 aspect ratio) version originally created for the Lemote YeeLoong 8101B. 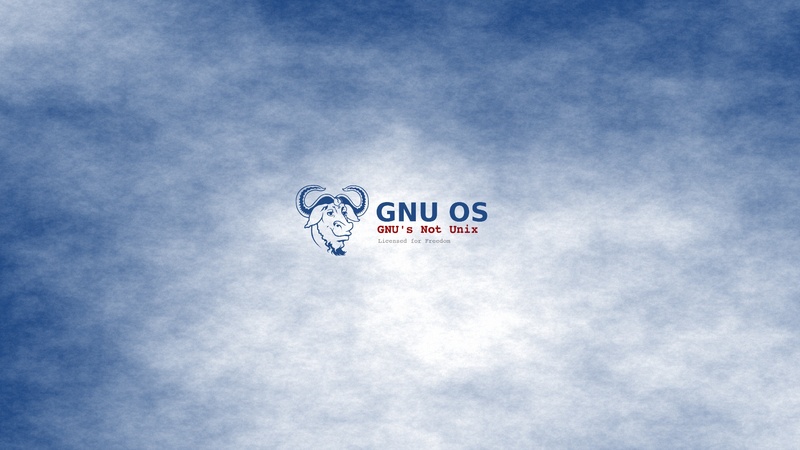 This is the only other "GNU OS" background that I could find, done by Momez (Licensing unknown). A 1600x1200 png file, 213 K. (Found in khany's trisquel_artwork archive.) 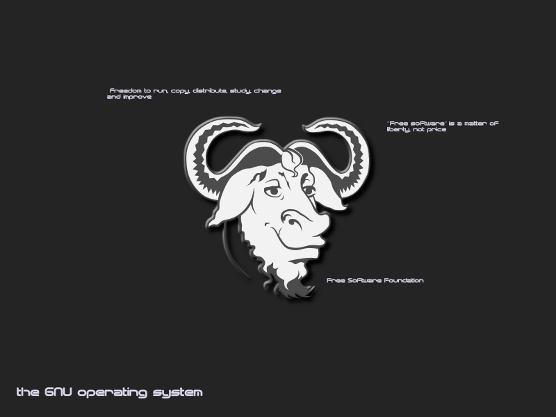 Reads "Freedom to run, copy, distribute, study, change and improve/'Free software' is a matter of liberty, not price/Free Software Foundation/the GNU operating system" and features the smiling gnu head.